It’s one of the most desirable jobs on Long Island. And Joe Rehor has held it with the same firm grip he uses on his putter. That’s because Rehor is the golf pro at Bethpage State Park, which includes the legendary Black course. Rehor, 65, is in his 34th year at the iconic Long Island golf spot. He was destined to be there. Rehor, who grew up in East Islip, was a golfer at St. John’s University who used Bethpage as a home course before graduating in 1968. When he landed the top job at Bethpage a decade later, the course needed work. 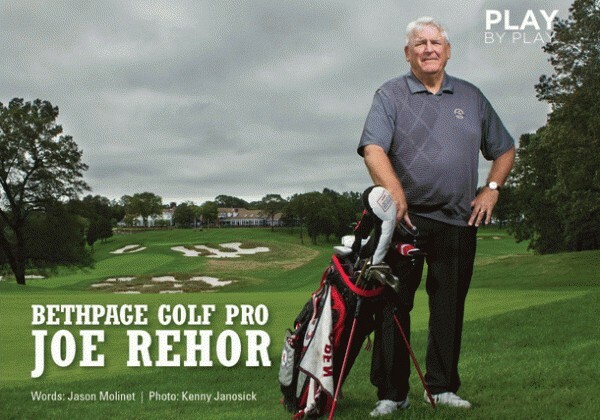 Rehor helped revitalize it and secure Bethpage Black’s place as one of the top public courses in America. In 2002 and 2009, Bethpage hosted memorable US Opens. The 2012 Barclays Championship is coming next. But while Black gets all the love and attention, Bethpage State Park actually features five strong courses (in order of difficulty): Black, Red, Blue, Green and Yellow. And Rehor is not shy about admitting Red as his favorite. You can still find Rehor on the links each day offering instruction; that’s his greatest legacy and he’s still going strong. Long Island Pulse: How did you get started at Bethpage State Park? Joe Rehor: We got started in 1978. A gentleman by the name of Chuck Workman and myself won the bid to operate the golf facility at Bethpage. I worked at a private club in Muttontown named Fox Run Country Club and prior to that I worked at a driving range called Huntington Golf and Tee. LIP: What was Bethpage Black’s reputation when you arrived? JR: The golf course in 1978 was really bad. The conditions were unplayable. The gentleman who was instrumental in hiring myself and Chuck was named John Sheridan. I went to school with John. He was commissioner of parks for the Long Island region. He wanted to do something to renovate and bring back interest to the Black course. He had a vision of ultimately having tournament golf at Bethpage. That’s what he set out to do. And that’s what we helped him to do. LIP: There’s a real unique way that Bethpage Black is seen. On the one hand, it’s real accessible to the average golfer and on the other, it’s held in high regard as a place where championships have been played. How do you see Bethpage Black? JR: It’s one of the most highly-regarded courses in the United States. It’s looked at by the best players in the world as a top-10 golf course. It’s looked at by the average person playing the game as being a very difficult golf course and something they want to try before they go to their grave. LIP: What’s your most memorable moment on this course? JR: Working with the US Golf Association at the 2002 and 2009 U.S. Opens. LIP: On Long Island alone, it might not be considered the premier golf course anymore. Some great holes and courses have been built out east. JR: It’s known as the people’s country club. You pay your money and you play at a US Open venue, which is unheard of in the golfing world. 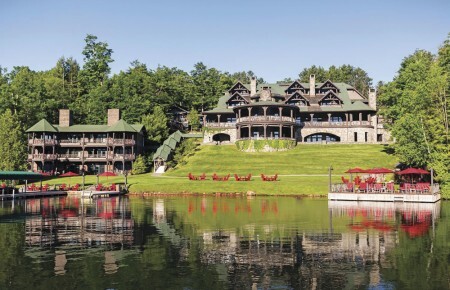 If you want to join those courses out east—spend $200,000 a year—go ahead and do so. You can play a top-notch golf course and a lot more frequently at Bethpage—and for a lot less money. LIP: What’s your favorite hole? JR: Probably Number 5 or 15. One of those two. It’s a tossup. Number 5 is a par-4 hole approximately 450 yards and slightly dogleg left to an elevated green with tremendous bunkering. Number 15 is about 460 yards to an elevated green, with tremendous bunkering and undulation in the green. Both are terrifically sculptured holes out of the terrain. When you look at Bethpage and you look at Long Island, most people don’t realize the elevation changes from point to point. LIP: What’s the hole that’s given you the most trouble over the years? JR: Either Number 5 or 15. [laughs] It’s a love-hate relationship. LIP: Black is for the skilled golfer. What’s a course that’s playable and well laid out? JR: In order of difficulty, Red would be next. It’s almost equal in terms of difficulty. LIP: What’s your favorite course? JR: Red is my favorite course at this stage of my golf career. Although it is difficult, it’s not as difficult as Black and you can ride it in an electric cart, which is something that at 65 years of age, that’s how I play golf now. LIP: At 65, do you still give lessons? JR: I teach on a daily basis. LIP: Have you ever thought about leaving for other opportunities? JR: Many times. But I’ve stayed because it is Bethpage. If you opened this job up, there’d be standing room only looking to get the job. LIP: What’s your greatest accomplishment? JR: Helping thousands of people play better golf. Introducing junior golf to the immediate area around Bethpage to thousands of youngsters over the years we’ve been here. But generally being an ambassador for the golf community and helping grow the game.